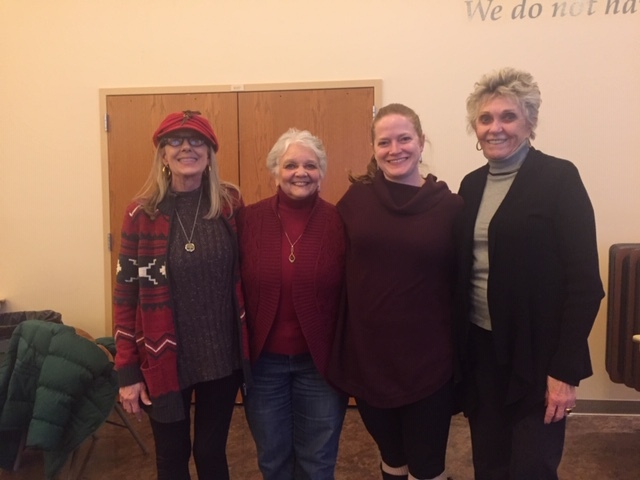 On Friday and Saturday March 29 & 30, I attended a training at St. Andrew UMC for a congregational care model along with Trinity members Sherry Valentic, Elaine Little, and Sandra Lay. I am in my 12th year of involvement with congregational care at Trinity, starting as an assistant to the previous Minister of Care, Rev. Linda Marshall, and becoming ordained myself and now serving as the Minister of Care. I have learned a lot over these years, but I always want to learn more. I seek out new information and new ways of doing things so that I can help meet the needs of the congregation the best I can. What I love is that I am not alone in this endeavor. There are teams of people at Trinity who have a heart for being with others in their life journeys and showing up for people in a difficult time. These folks are also eager to keep learning and growing. This training is a great example: I got the information about it with short notice, yet 3 people showed up to join me, and several more wished they could have been there too! There are so many people who instinctively know that it takes others to get through life. Some have had challenges of their own and want to give back once they find more solid ground. Some just know that life is better when you get to share the ups and downs in a community. 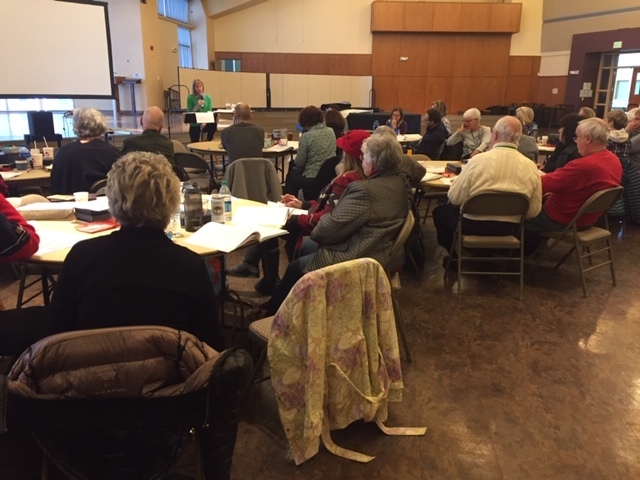 What is foremost on my mind, and what was reinforced by this training, is that we have a large community of people who not only have had their own difficult experiences, but who also already have what it takes to help others through theirs. And these people may not want to join a team, or have the time to commit to something like that. But they still want to show care and support to others, and have questions like “What do I say to someone who has just lost a loved one?” or “How can I help someone who has been diagnosed with cancer?” I want to help answer those questions, and instill confidence in those who want to help others. Because truly, presence is everything, and just showing up goes a long way. We can’t solve the world’s problems or eliminate suffering, but we can each bring Christ’s presence into hard situations! Look for opportunities this year to learn more about being a caring presence to others. As always, I invite conversation if you want to talk to me about this. I can be reached at (303) 839-1493 x11 or landerson@trinityumc.org.